Is "eat healthy" one of your New Year's resolutions? Yeah, us too. To celebrate another year of healthy eating and having fun, we've rounded up some of our favorite healthy recipes that you can your kids can make together! Note: ParentMap and PCC Natural Markets have partnered to produce an exciting web series called Healthy Kids Cook, designed to encourage families to make a healthy habit of cooking fresh food together in the kitchen, and to help explore the farm-to-table journey of some of your favorite foods. 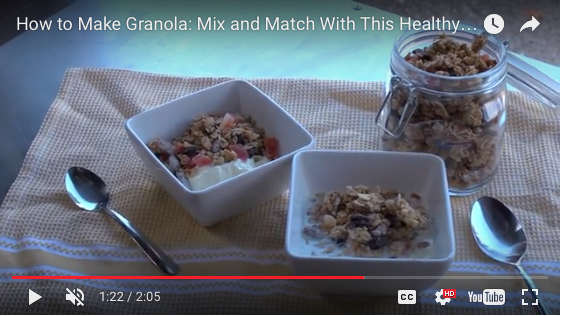 Prepare something lighter with this handmade granola recipe from PCC Natural Markets. Get the details Chef Jackie and her Healthy Kids Cook helper, Arnica, as they volunteer at a local food bank before heading to the kitchen. In a bowl, combine oats, sugar, nuts and salt. Mix water, oil and vanilla together in a measuring cup. Pour over oat mixture and mix well to combine. Spread granola on the prepared baking sheet and press flat. Bake, rotating the pan every 20 minutes, until oats are golden and fragrant, 40 to 60 minutes. Remove from the oven and cool completely. Mix in dried fruit and store in an air-tight container for up to 1 month. Note: For nuts and seeds, try a combination of sliced almonds, chopped pecans or walnuts, pumpkin seeds, sunflower seeds, flax seeds, sesame seeds or coconut flakes. For dried fruit, try a combination of raisins, banana chips, dried cranberries, currants, apple pieces, chopped mango or date pieces. Ryan, a guest from the YMCA Actively Changing Together! 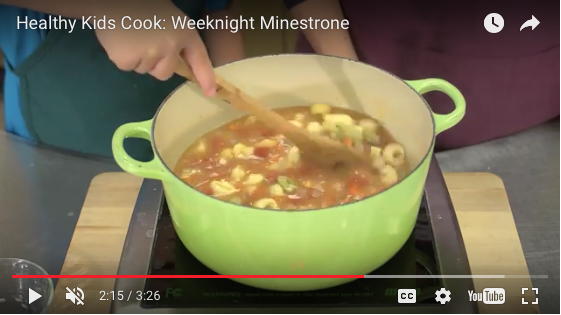 program, joined PCC Chef Jackie Freeman to make Weeknight Minestrone. This flexible soup comes together in less than 30 minutes and uses common pantry staples, freshened up with dense root vegetables and healthy braising greens. Add root vegetables and cook until just tender, about 5 minutes. Stir in garlic and cook until fragrant, about 2 minutes. Add stock and tomatoes; bring to a boil. Stir in pasta and simmer until tender, about 15 minutes. Stir in beans and greens during the last 5 minutes of cooking. 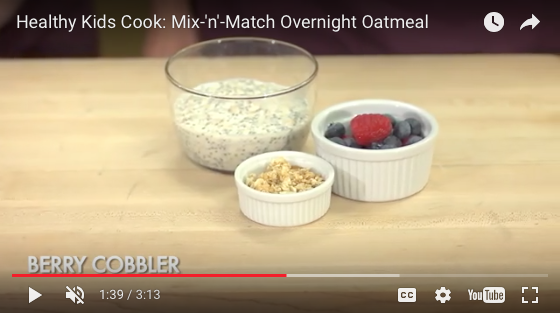 Chef Jackie invited teen photographer Ava to make Mix-'n'-Match Overnight Oatmeal. This recipe is creamy, delicious and easy to customize: it's the perfect make-ahead breakfast for simplifying your morning routine and making sure kids and teens don't miss breakfast, even if they are running late! 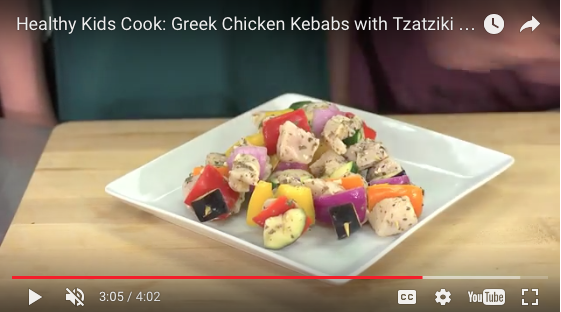 Chef Jackie invited 11-year-old Ryley and her Mom, Jen, from STAR 101.5, to help make Greek Chicken Kebabs with Easy Tzatziki Sauce. They're super fast and flavorful, with a great combination of lean protein and fresh veggies to keep active bodies well-fueled. In a large bowl or resealable bag, combine chicken, zucchini, peppers, eggplant, onions, garlic, lemon juice, oil, oregano, mint, salt and pepper. Marinate at room temperature for 30 minutes or refrigerate overnight. Thread chicken, alternating with vegetables, onto skewers. Discard remaining marinade. Grill skewers, turning occasionally, until chicken is cooked through, about 10 minutes. A chocolate lover's dream! 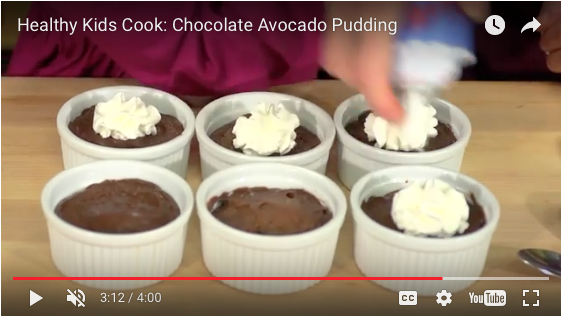 Jackie invited Jodi Brothers from KJR 95.7 The Jet and her son's best friend, Coco, to make decadent Chocolate Avocado Pudding. A heart-healthy dessert that can be made in mere minutes? Dreams can come true! With a blend of two fruits, Fair Trade cocoa powder, a touch of honey and almond milk, this creamy pudding has a purely decadent flavor and texture created from remarkably healthy ingredients. It's also a delicious gluten-free and dairy-free option. Combine all ingredients in a blender or food processor and blend until creamy and smooth. Add more non-dairy milk to thin, if needed. Divide pudding evenly between six serving dishes. Cover with plastic wrap (pressing the wrap down on the pudding to prevent a skin from forming) and chill in the refrigerator for at least two hours. Chef Jackie invited Noah from the George Pocock Rowing Center to make Taco Salad. Noah participates in the The Middle School Rowing and Fitness Club. PCC works with the foundation by providing funding and healthy snacks for the youth program. 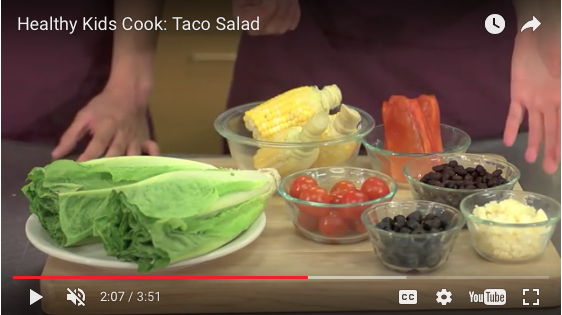 A favorite with kids, this taco salad can be eaten with a fork or by using the chips as a spoon! Combine avocado, sour cream, lime juice, oil, sugar and garlic in a blender or food processor. Puree until smooth, adding a little water, if needed, to blend. Fold in cilantro and season to taste with salt and pepper. On a large serving platter, combine lettuce, beans, corn, tomatoes, peppers and olives. Drizzle with desired amount of dressing and toss to coat. Sprinkle with cheese and serve with chips around the edge of the platter. 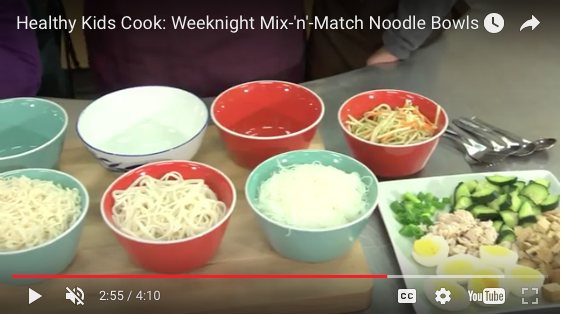 We invited two Girl Scouts, Becca and Nur from troop number 45054, to help make easy Mix-‘n’-Match Noodle Bowls. These warming and filling bowls are a great way to feed the family a hearty meal on busy nights. If you are a Girl Scout who loves to cook, find your own cooking patch here or at your local Girl Scout store. Cook noodles according to package directions. Divide noodles and broth between four bowls. Top with tofu, half an egg, carrots and broccoli and green onions. Love these recipes? Help yourself to seconds. 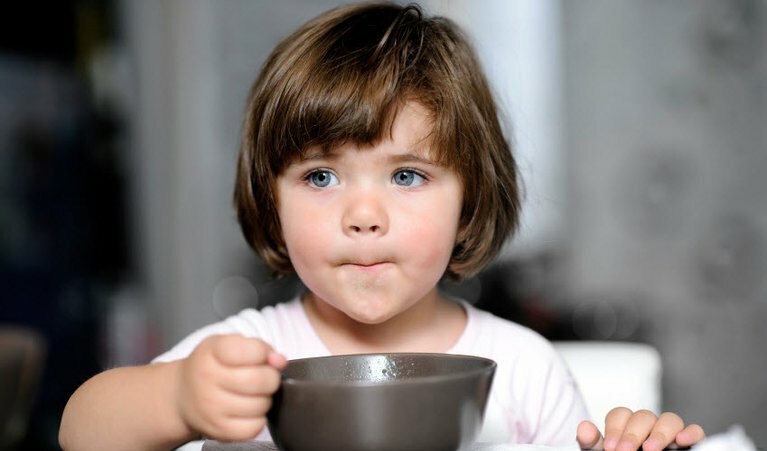 Check out our Healthy Kids Cook page for further food-related inspirtation.